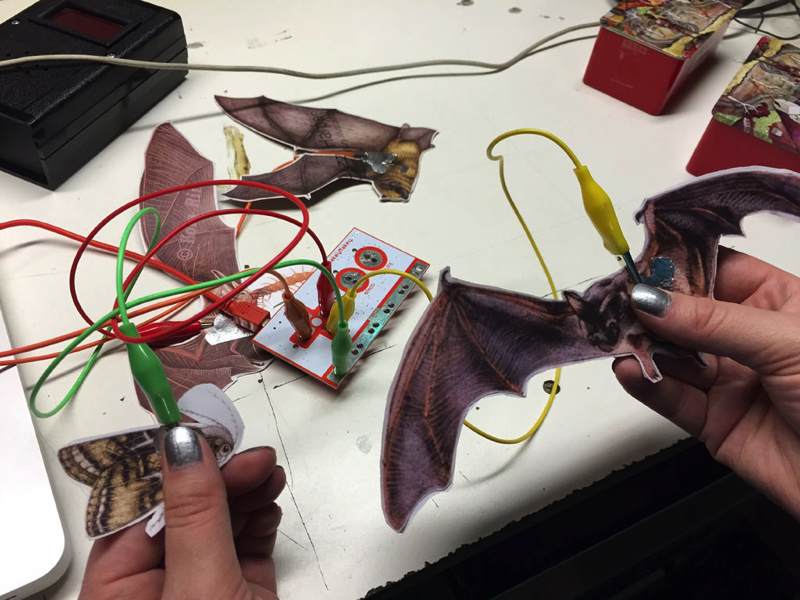 Makey Bat-Mobile « Adafruit Industries – Makers, hackers, artists, designers and engineers! For our Makerspace’s January build night, we worked with MakeyMakey kits. These kits are particularly well suited for working with the software program Scratch. Scratch allows you to link the circuits you make with your MakeyMakey with sounds, images, text and actions on the screen. The project took me about 3 hours, but that’s because it took a while to find all the .wav files I needed and to cut out the bats themselves. The Scratch programming is quite simple and should be useable even for kids.